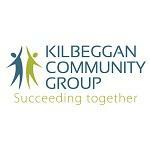 Kilbeggan Community Group is an umbrella body which represents 25 community and voluntary groups across South Westmeath. We work tirelessly alongside sponsors to help participants of the scheme gain meaningful practical experience, achieve relevant qualifications and training and offer them support and guidance as they work towards achieving their goals and developing their careers. Kilbeggan Community Group CLG supports Community Employment participants in Ballinagore, Ballymore, Castletown Geoghegan, Dysart, Horseleap, Kilbeggan, Loughnavalley, Rosemount, Streamstown and Tyrrellspass.